Blackburn College has a long and very successful history of providing relevant and high quality education from Entry level through to Masters’ level. Blackburn College’s purpose is to provide life changing educational opportunities for young people and adults through high quality education and training supporting their employment aspirations both now and into the future. In the future, portfolio careers with definable and transferable skills are needed, in an environment where technology and knowledge driven organisations are the way forward. As a provider of education and training Blackburn College prepare future citizens to play a more influential and caring role in society, locally, nationally and beyond. This enhances the concept of citizenship and promotes social cohesion. Having continued to evolve and adapt to meet the needs of students and businesses the college undertook an ambitious plan to build new facilities appropriate for learners studying in the 21st Century. The Colleges £65m village campus boasts the most up to date facilities for both students and businesses. Blackburn College’s Commercial and Business Development Team are highly experienced advisors who excel in their ability to evaluate business skills-gaps. After undertaking an in-depth assessment they can recommend the most effective training solutions to up-skill employees and help company’s attain their business goals; from Professional Training Courses to Bespoke Training Solutions. In addition to helping students attain excellent academic results the College recognises the importance of ensuring students are work ready. This is achieved by working closely with employers to ensure that training delivered by the College reflects the latest industry standards and meets business needs. Enterprise and employability skills are key to our students’ future success. The College prides itself on its excellent Apprenticeship success rates and the work it undertakes with employers and learners in industry. The ‘Vacancy Matching Service’ helps by matching the most suitable applicants in line with employer requirements. We recommend businesses approach an approved training provider and have a Training Needs Analysis (TNA) carried out to identify any skills gaps. The TNA can also help businesses map a growth plan. Lancashire has an excellent road and rail links. The work force is adaptable and skilled. A key part of the government’s plans is to build a Northern Powerhouse allocating £3.4 billion in growth deals to boost the local economy by investing in skills, providing funding and resources needed for the county unleash its untapped potential. There is an abundance of creativity and innovation in Lancashire which come together to create an ideal platform for growth. 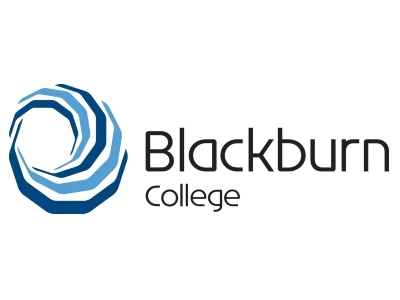 Blackburn College was a founder member of HIVE Business Leaders Network in 2012. The vision for the organisation is opportunities for growth, development and greater prosperity for those who live and work here. The college is therefore committed to supporting business thrive enabling Lancashire to remain a key county supporting the country’s plan for economic growth.